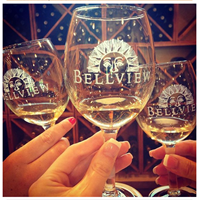 Bellview Winery is a family owned and operated estate winery in southern New Jersey. Located on soil that the Quarella family has been farming for a century sits one of New Jersey’s premier wineries. 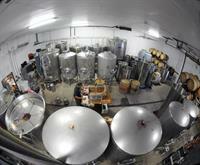 Bellview Winery, which opened its doors in 2001, has become a destination for more than just locals. Over the years Bellview has hosted wine lovers from across the country and abroad who have been very pleased to have stumbled upon our tucked away tasting room. Jim Quarella, founder and president of Bellview Winery, takes pride in crafting fine estate wines exclusively from the grapes that are cultivated here in our 40 acres of vineyards. Attention to detail is evident in each of our wines, which include over a dozen estate grown varietals as well as a selection of white, red, fruit, and specialty wines including a Port and an ice style wine. Bellview has also become well known for its Dandelion wine made from an old Quarella family recipe that goes back for generations. We strive to make wines of the highest quality that can be enjoyed by everyone from the wine enthusiast to the casual wine drinker.